Tags: Ali Fazeli, fraud, Super Bowl. After poker pro Ali Fazeli pleaded guilty 6 months ago (July 2018) to one count of wire fraud, he has now been sentenced to a period of 18 months in jail. In March 2018, federal officials indicted Seyed Reza Ali Fazeli on multiple charges of wire fraud after orchestrating a Ponzi scheme that duped three poker pros and many other investors. This week, Judge David O. Carter in a U.S. District Court in Santa Ana, California sentenced the 49-year-old poker player to one year and a half behind bars. 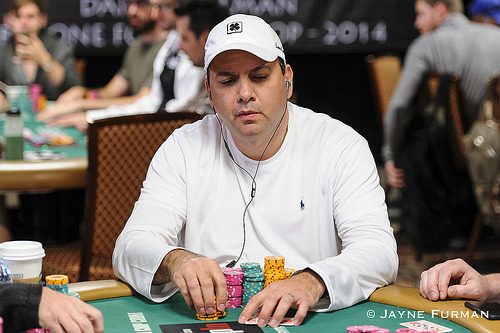 Ali Fazeli, a high-stakes poker pro from Southern California who regularly plays at the Aria Casino, managed to raise $6.2 million from investors, among them three poker pros namely Erik Seidel, John Juanda and Zachary Clark. He promised investors substantial returns via his ticket resale business venture named Summit Entertainment. He told his investors that he aimed to buy $2,800 tickets to the 2017 NFL Super Bowl and then resell them to earn profit. However, instead of fulfilling his promise, Fazeli used the money to fund his lavish high-stakes poker gambling and personal lifestyle. His scam went on for around a year between May 2016-2017, and in that time was a regular in several $25k buy-in high roller tournaments at the Bellagio and Aria casino. At least $1.8 million of the money was placed in his Aria bankroll. He managed to win about $2 million from that period, but since he doesn't carefully manage his money too well (obviously), eventually all of it was gone and his fraudulent scam was exposed. Aside from doing time in prison, Fazeli was ordered to pay $7.5 million in restitution to his victims, and upon completion of his jail time, he must also serve six months of house arrest. After hearing his sentence, Fazeli said he was "sick to my stomach to make me think how much I've violated the law and disgraced my family." Former Nun Misused Investor Money For Casino Project - Ordered To Repay $970k! 5 comments for "Ali Fazeli faces 18 Months in Jail over Super Bowl & World Cup Ticket Scam"
well he didnt got a lot of months for this when you what amount it is!you can take so much money,over 6 millions and you got in jail for small period!just dont know where he will find this money,7,5 millions of dollars if he dont have on his account that money! I remember this case. I think we can say he got out easily with only 18 months in jail. Lets hope he learned something out of it. Will he have the money to repay them? She got away very well. 18 months is little for the amount of money he has embezzled. For fraud i was expecting to receive 4-5 years of imprisonment but this Ali Fazeli had a good lawyer. Few millions dollars it means something and now he must pay the victims 7,5 millions. He managed to do a bad thing and now he will pay.